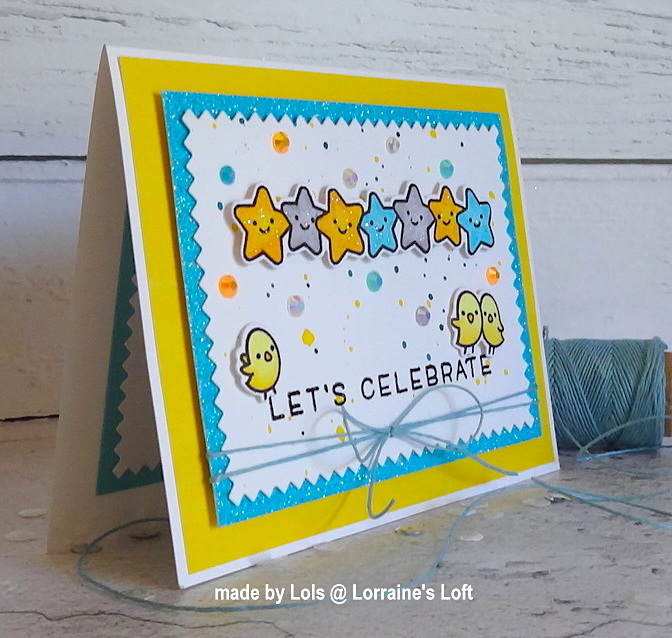 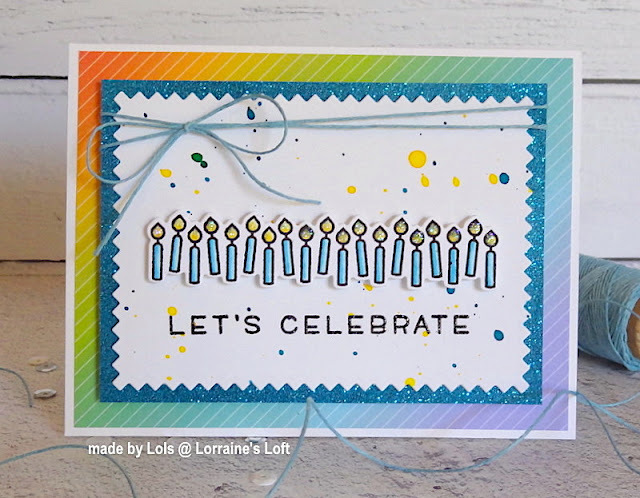 I used a Simply Celebrate Clear Stamp Set and Coordinating Die Set, a Zig Zag Rectangle Die Set and a Really Rainbow 6x6 Paper Pack to make a set of cards. 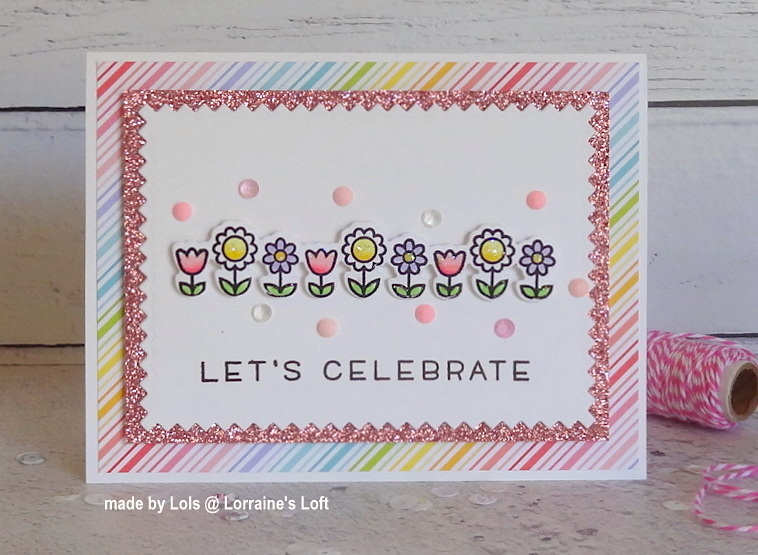 First up is this one made using the row of candles. 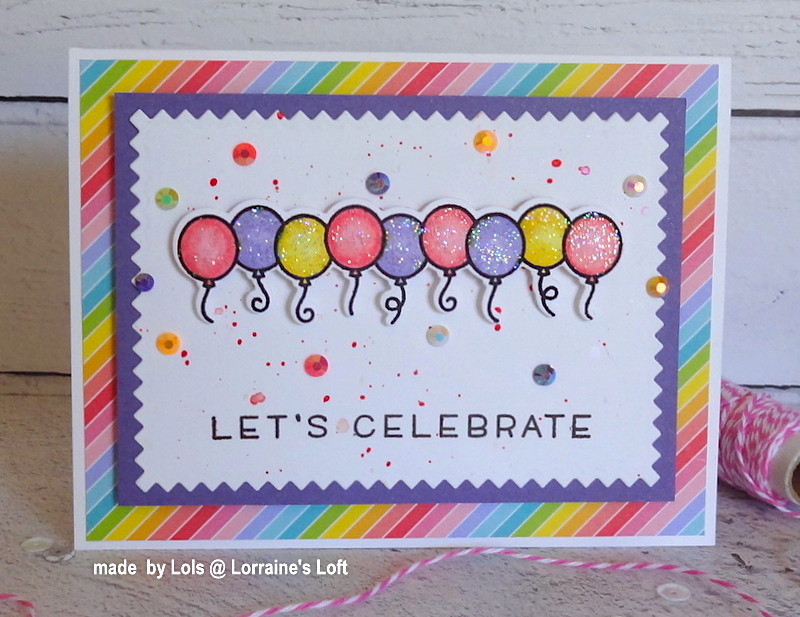 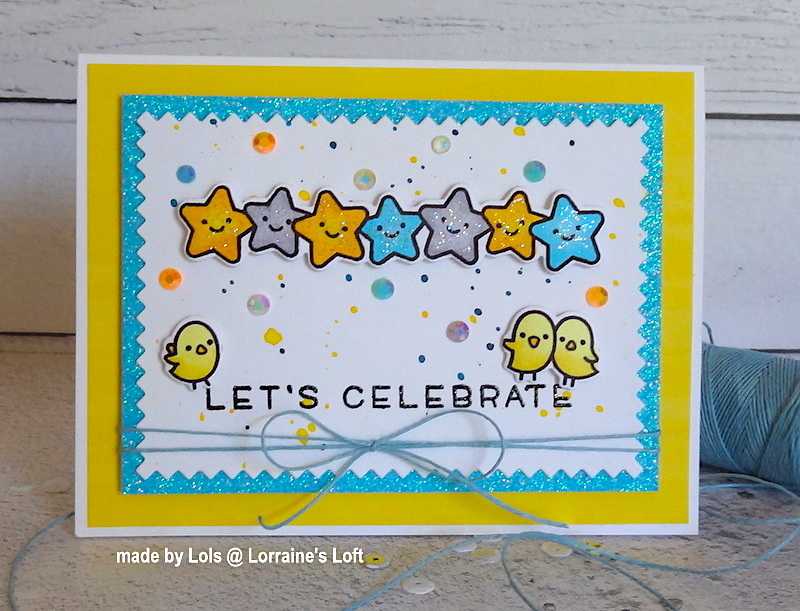 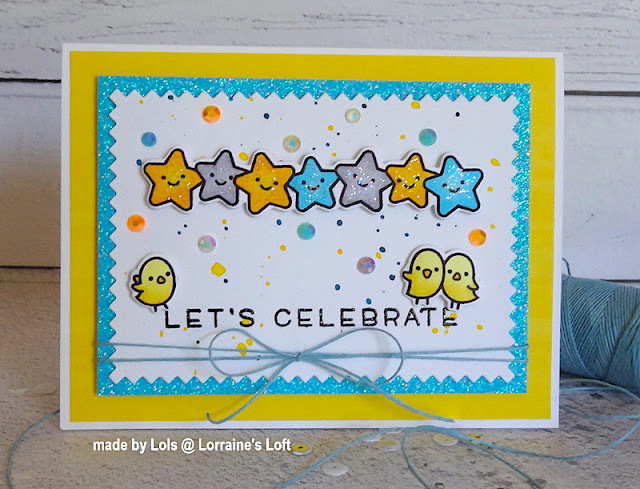 I simply splattered the background with inks and heat embossed the sentiment with Sparkle Black Embossing Powder. So now it's YOUR turn to get out your masculine supplies and join in!